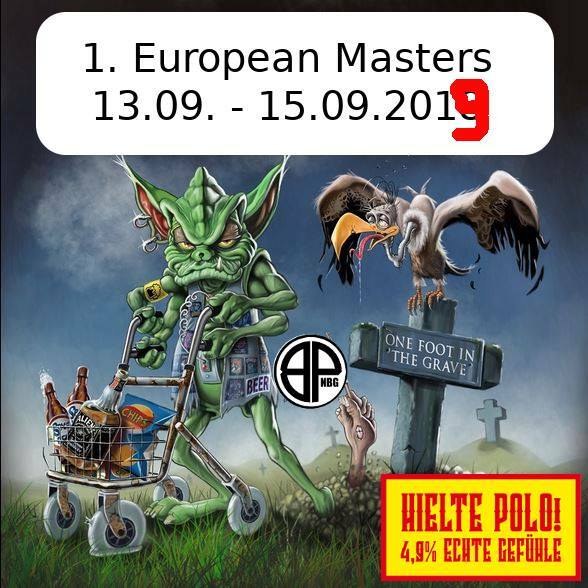 As an increasing stakeholder in the minority group that dare not speak its name, I'm acting as a UK go-between for the new Masters tournament in September and am looking to recruit a strong and enthusiastic representation from our shores. This idea has been developing sporadically around the world, in Indianapolis and talk of a Vienna event a couple of years ago, but now our German friends have made it a reality. In all (for polo) seriousness, there is a need for tournaments that enable players to remain in the game/scene regardless of diminishing skills or time available to stay abreast of current and future playing standards. With that in mind, I have already met with Alex the German tournament promoter to discuss how we can bring the 2020 edition to London and perhaps move it to a Worlds status. Feel free to make contact if you would like to help develop a UK masters tournament. So this is a call out for current UK-based players that wish to play in the first Euro Masters and especially to former players that need a little motivation to get back on court - please get this message out to those people! Currently a 16 team entry - if it goes over 16 then a lottery will take place. 8 teams already entered. Ryanair fly direct to Nurnberg from Stansted and Manchester. Cheeky call outs to those you think should be playing! not sure I can get out to Germany but in for 2020 in the UK! I'm old next year too and might've picked up a mallet again by then. In for 2020. It's been a thug life. This should be on years played! Is this really a condition for three player teams? So two 35-year-olds would require a 50-year-old to form a team? they can't expect us olduns to play for 10 mins without a rest. haha i knew there was my new calling! Travelling to Nurnberg would be great for a weekend of polo but not sure its top of the Fams list at the moment. Maybe when i have more disposable cash moneys. A great idea for a fun tourney and sure it will be awesome..although IMO lots of tourney's have criteria based access and rules these days it seems harder to be involved. Probably why pick up is the best for me i guess..
We just sent an email to register. P.S. THX to Neil for keeping Things moving in the UK. I hope the sole GB team on the list makes it in! Can't make this year but definitely in for next year. Seems wrong allowing 35 year old to be considered seniors though! Bristol will have a team or 2 for 2020. There can be only 1..
*That's a higlander reference not amount of Bristol teams.